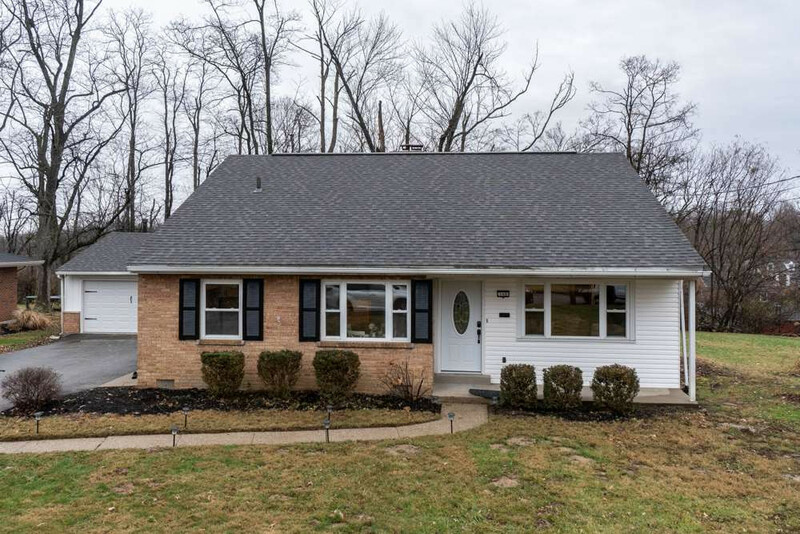 Move right into this completely remodeled 3 bedroom home in highly desirable Beechwood District. Fantastic updates & finishes throughout. Kitchen is spectacular, stainless appliances, granite and tile! Perfect home for entertaining. Living room with cathedral ceiling. Open concept. Family room with beautiful brick fireplace that walks out to large, flat rear yard. New roof. New kitchen appliances. Newer HVAC. Quiet street. 2 car detached garage. Fantastic location convenient to shopping, dining, schools, & Cincy. 1 year Home Warranty. All info is believed to be true & accurate buyer to verify. NOTE: This property was sold on 4/12/2019 and is no longer available. The details listed below are believed accurate to the date of the sale and are subject to change. Fort Mitchell is an appealing city, well known for its lovely homes, tree-lined streets, and strong community spirit. There are 8, 200 residents. Historically, Fort Mitchell was the site of a Civil War fortification built to defend the area. The city was named for Ormsby M. Mitchel, who designed the fortifications. One of the oldest suburbs in the area, it remains today one of the most desirable. People of all ages enjoy the gracious friendly ambiance. Properties in Fort Mitchell vary in age, and include large newer homes in well designed subdivisions, as well as fine older homes on beautifully landscaped lots. Transit Authority of Northern Kentucky (T.A.N.K.) buses serve the Ft. Mitchell area. Via I-75, driving time to downtown Cincinnati is 5-10 minutes, 15 minutes to Florence Industrial Park, and 15 minutes to the Cincinnati/Northern Kentucky International Airport. St. Elizabeth and St. Elizabeth West hospitals are both within 10 minutes. The University of Cincinnati Medical Center is a 20 minute drive. Children's Hospital is located in Cincinnati. Fort Mitchell shopping area serves daily needs. Major shopping areas in downtown Cincinnati, Covington, Crestview Hills Town Center,	Buttermilk Towne Center, and Florence Mall can be reached within 15 minutes. "Fort Mitchell Country Club", which has a golf course, tennis courts and swimming pool, and "Beechwood Swim Club" is a private club within the city. A public golf course is located nearby. A community highlight is the "Vent Haven Museum", the world’s only museum dedicated to ventriloquism with memorabilia including 700 dolls and objects. The "Highland Cemetery" has 250 acres of land dedicated to wildlife, many of which are used as nature trails. This beautiful final resting place has many prominent and historial people buried there. There are three parks in Fort Mitchell. "Iris Road Park" is small and offers a basketball court as well as lovely green spaces. "Crescent Park" has a play area and basketball court. The "General Ormsby Mitchel Park" features a large play area, picnic space, baseball and soccer fields as well as basketball, volley ball and tennis courts.